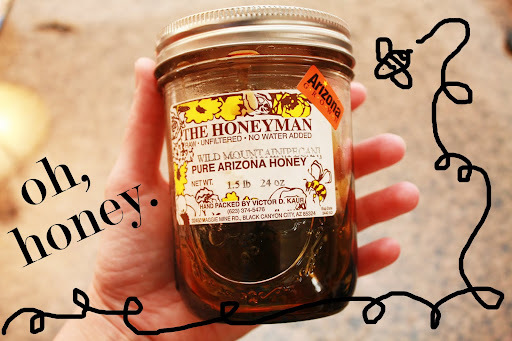 little momma and company: busy bees, made with honey. I could put it on everything. I picked in up in Arizona over Christmas. It's rich and dark, stronger, a bit nutty. I've used it all winter, and I was down to my last 1/2 cup. 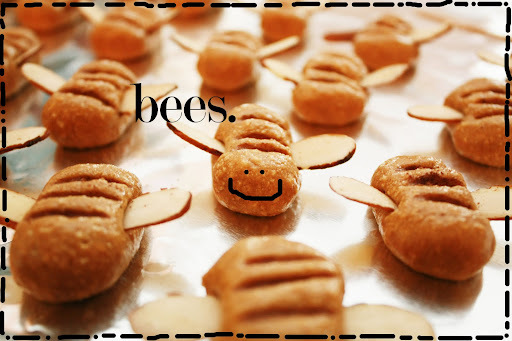 Perfect for my peanut butter honeybees. 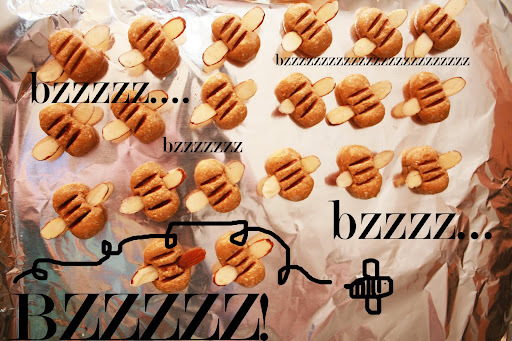 To make honey bees, just mix equal parts peanut butter, honey, and dried milk. You can mix in sesame seeds, sunflower seeds, or raisins too. Yummy. Pure honey bee goodness. 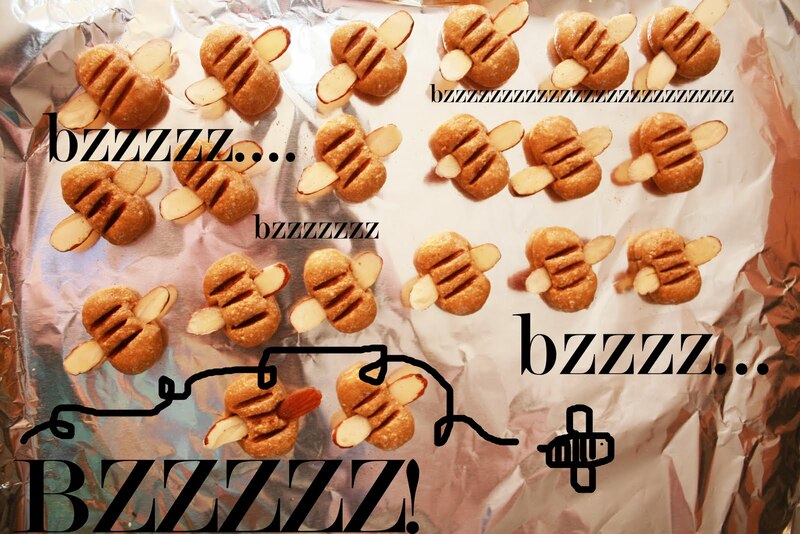 Make honey bees for your own little honeys. I LOVE honey and those are just too cute! Oh, these look great, and I love that honey!!! 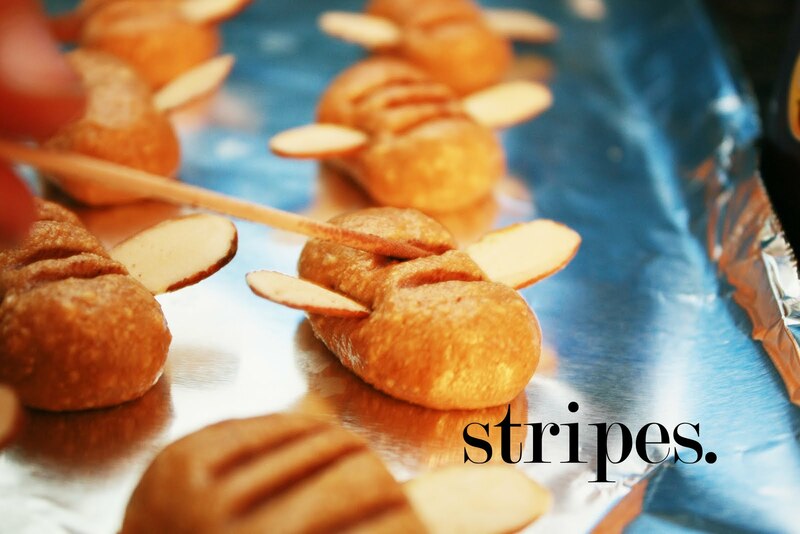 These are so darn cute and sound tasty. I love honey. I need to try this recipe. I came to your blog through a link on Junebug's post. Thanks, Junebug! Oh yes, if you guys love honey-- you will LOVE these. 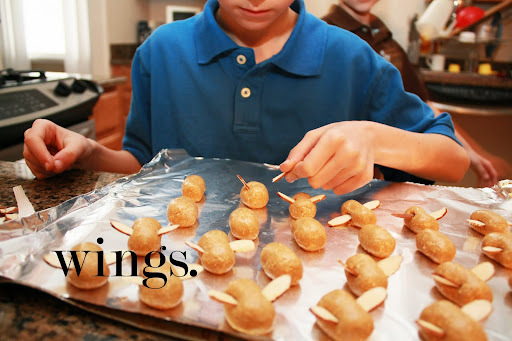 They are so yummy too... a great way to sneek a few grams of healthy fat into my second childs diet. He's underweight, so any help I can get in that department is worth it to me!